Download DA Form 54 also known as Record Of Personal Effects. 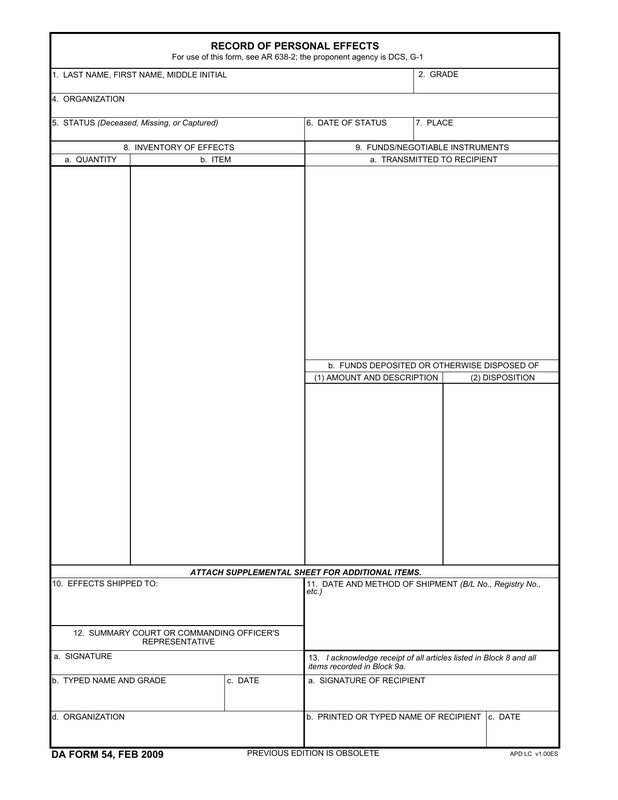 This form is completed when personal effects of a member of military is deceased, captured or missing and are being returned to a family member or other recipient. 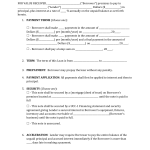 When completing this form it’s important to be certain that all personal effect items and funds are listed. 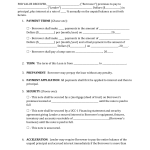 Step 3 – Section 9 a., Funds/Negotiable Instruments. This form is fillable online or printable for manual use.